It’s National Baking Week (15th – 21st October). The aim of the week is to get Britain baking and sharing. As well as making some cakes of our own, we’ve been looking at the benefits of home baking. What are the benefits of home baking? It’s National Baking Week (15th – 21st October 2015). The aim of the week is to get Britain baking and sharing. As well as baking a few cakes of our own, we’ve been looking at the benefits of baking at home. 1. 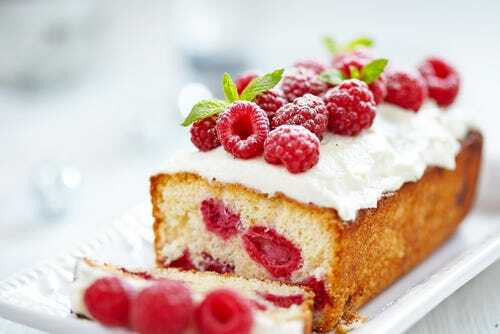 Home baked goods are often fresher than shop bought ones which tend to contain preservatives. 2. You know exactly what is going into home cooked food and it’s often healthier thanks to a simpler ingredient list. 3. You can modify recipes and experiment. 4. It’s often cheaper than shop bought goods, especially if you buy your ingredients in bulk. 5. You can cater for special diets such as gluten or lactose-free. 6. It’s fun and a great way to pass on skills to younger family members. 7. It gives you a sense of satisfaction and a good excuse for a get-together! 8. It’s a great way of using up excess crops such as apples, plums or rhubarb. 9. Homemade cakes are guaranteed to bring a smile to the faces of your family, friends and work colleagues. 10. It’s a good stress-reliever - doing something ‘hands-on’ such as kneading dough can have a calming effect. Do you have a favourite recipe you’d like to share with us? Simply click on the comments link below. We’d love to hear from you.